Browns Socialhouse franchisee Oliver Prucklmeier with the restaurant’s chef, James Bernell. Casual dining franchise system Browns Socialhouse recently celebrated the opening of a new restaurant in Ottawa’s downtown core. 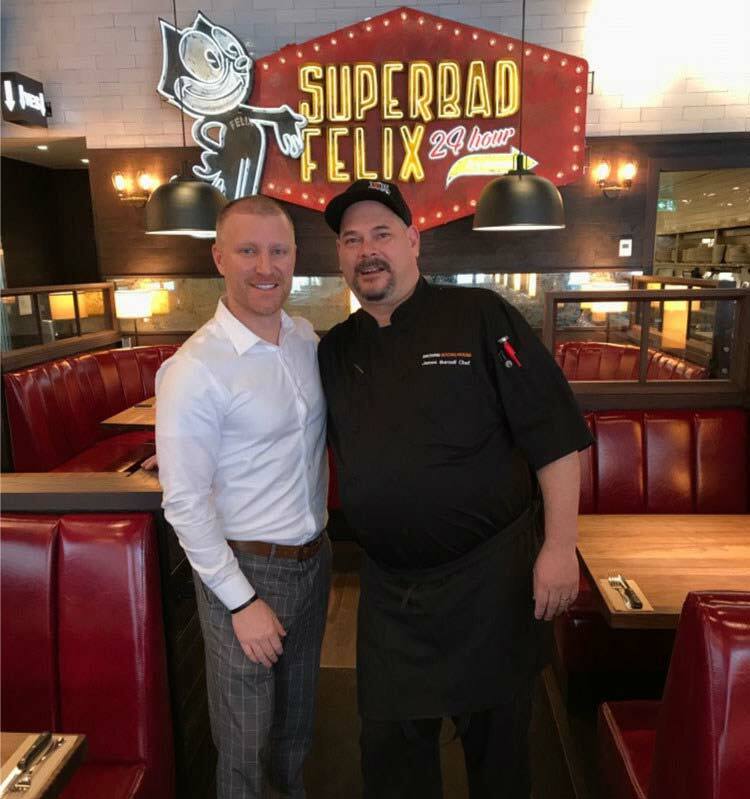 Owned by co-franchisees Oliver Prucklmeier and Nick Luksha, the restaurant marks Canada’s 64th Browns Socialhouse location and the first in Ottawa. “Oliver and Nick have been so dedicated to bringing our brand to life in an entirely new market and have worked tirelessly to open a great looking restaurant,” said Scott Morison, CEO of Browns Restaurant Group, franchisor of Browns Socialhouse.